Here are the Open Houses Today in Tucson AZ. The links (below) give you all Tucson open houses by area of Tucson. And many communities and subdivisions. If you want to visit open houses today, or this weekend, in the Tucson communities and subdivisions you might call home, stay on this page. It is true that fewer home buyers are visiting open houses during their home buying process. Why? Well, the internet is one big reasons. Along with the basic listing information, the photos and virtual tour videos give a prospective buyer a very good idea on what a home looks like inside. However, If you want additional information, give us a call we will be glad to help you find your “perfect” Tucson home. If you are already working with a Tucson Realtor, you should let the agent hosting the open houses today know. Realtors are required to ask each buyers if the buyer is working with another agent, but frequently they have a memory lapse. The simplest way to inform the open house agent that you are already working with another agent is to give them your agent’s business card. We make it a point to give each of our buyer clients our business cards for that specific purpose. Just give it to the other agent and say, “This is my agent.” Armed with this information, the agent at the open houses today will not try to solicit you. Well, they aren’t suppose to anyway! When you are working with us, we will show you all the homes you are interested in. 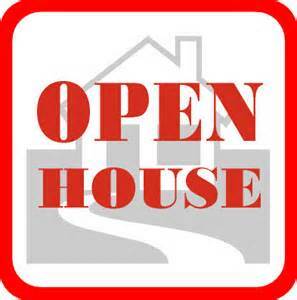 Including those being hosted as open houses today or any other day. Our job is to make your home buying experience as easy and stress free as possible. Having us show you neighborhoods, homes and open houses means you won’t get lost or need to find directions. Also, we can immediately answer your questions and point out interesting and some times “fun facts”. Remember, the agent a hosting any open houses today works for the seller NOT you. In the long run, it is best not to share any information that could effect a later negotiating position. Think Miranda rights — anything you say can and will be used against you in a potential negotiation.